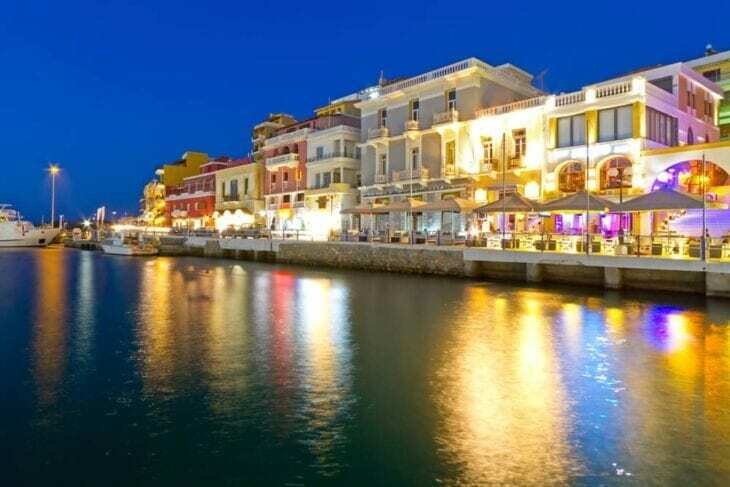 Of Crete’s four regional capitals, Agios Nikolaos is the smallest and most intimate. Agios Nikolaos has a lot of shoreline, more than even the usual port town. The harbor is very deep, and the town also has a “lake” — Voulismeni lake was once a sweetwater lake, but has been connected to the sea via a small channel in the late 19th century, and so is in fact a nearly entirely enclosed bay. It also has Kitroplateia beach, in another deep bay to the town’s south. There’s even a tiny island- Agioi Pantes- off the coast. This all makes for a lot of very charming waterfront promenade space. 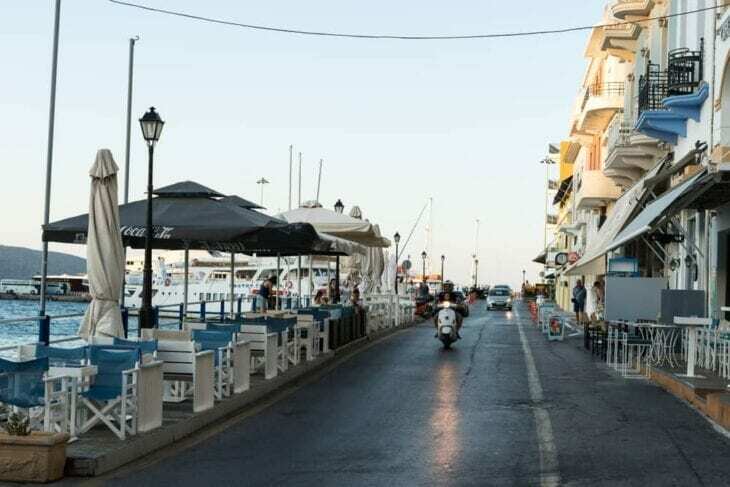 There is no shortage of interesting cafes, bars, and restaurants with lovely views in Agios Nikolaos. You’ll find good shopping, a wide range of accommodations, and delicious food both traditional and modern. It’s a wonderful cosmopolitan town with authentic character. Agios Nikolaos is the patron saint of sailors — the perfect name for a city with so much waster and seafaring life. Where is Agios Nikolaos Located? Agios Nikolaos, like Crete’s other main towns, is on its north shore. 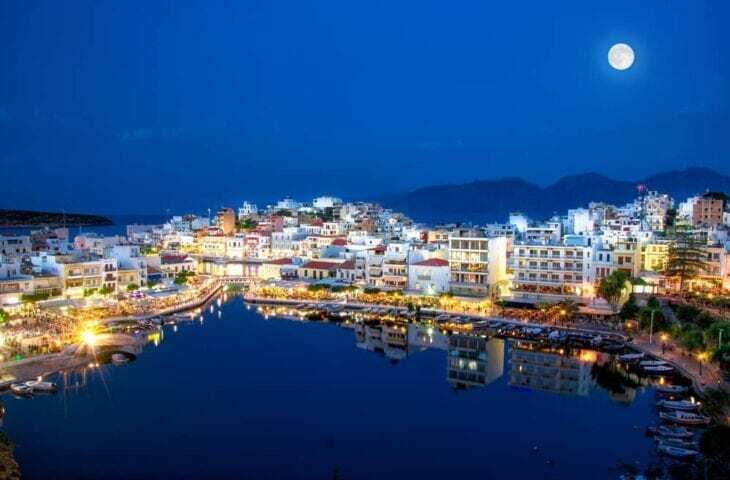 It is the easternmost large town on Crete, located in the beautiful Mirabello Bay. The location offers proximity to some of Crete’s most interesting and wild locations. 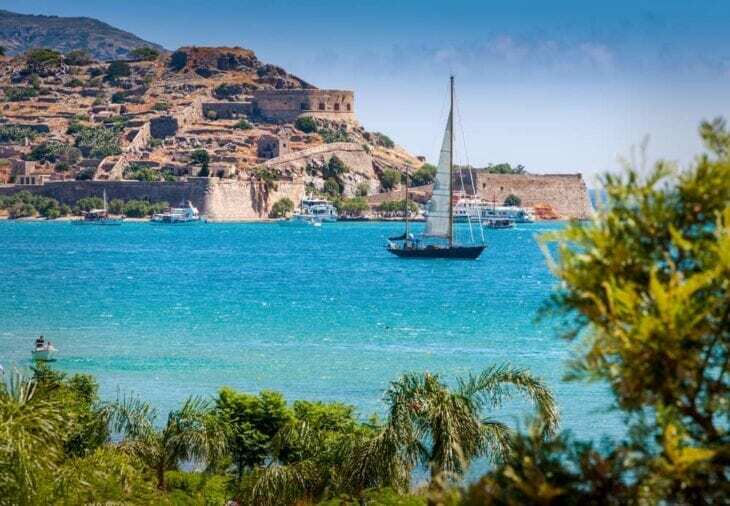 It’s a perfect place from which to explore this unspoiled corner of Crete, with all the convenience and diversions of a well-developed small port city. Agios Nikolaos is an hour’s drive from Heraklion International Airport. Renting a car will give you maximum flexibility to explore this gorgeous side of Crete, and to visit the sights and beaches with ease. You can pick up your car at our car rental office located in the Heraklion Airport. If you are traveling during high season, it’s a good idea to book online in advance. If you’d like to take a bus, you will need to get to the KTEL station, which is near the harbor. There are frequent departures throughout the day. If you arrive in Heraklion by plane, you can take a bus from the airport directly to the KTEL Station. Buses leave every 10 to 15 minutes. For more information, see here. From the KTEL Station, there are many buses leaving for Agios Nikolaos throughout the day. The ride takes 90 minutes. There is also a small airport at Sitia, which is a little less than an hour and a half away from Agios Nikolaos by car. There are six buses daily from the KTEL Station in Sitia. There is much nearby evidence of civilization dating from the Minoan era, the Bronze Age civilization that flourished from the 2000 BC to 1400 BC. The Dorians, one of the four major ethnic groups of Classical Greece, settled in Agios Nikolaos, coming down from the Lato because they wanted a harbor in the later part of the Bronze Age. The Venetians settled here, too, naming the bay of Mirabello. There was a fortress, but sadly the Ottomans destroyed it during their occupation. The city thrives as a port, which gives it its wonderful character. Agios Nikolaos has been the capital of the region since 1904. It stands on the north-western shore of the attractive Gulf of Mirabello, Crete’s largest bay. This busy, cosmopolitan town has about 8.000 habitants. 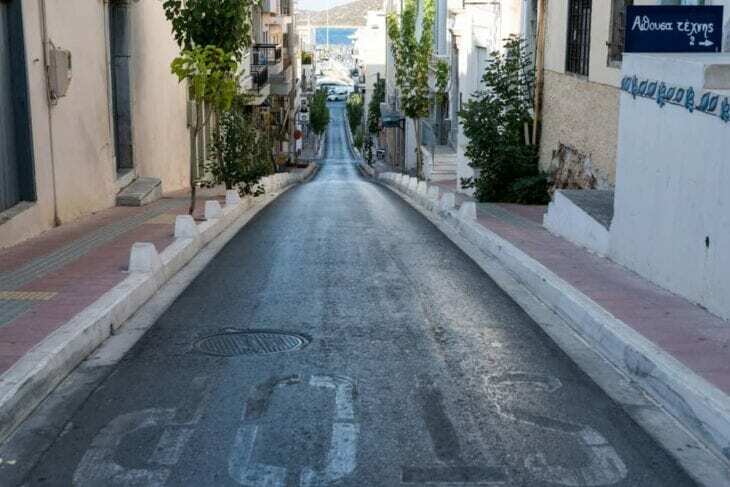 In spite of the fact that it is modern, just few things can distinguish Agios Nikolaos from a contemporary city. The town attracts thousands of tourists every year because of the picturesqueness of its harbour, the wealth of sightseeing which the region provides and the high quality of accommodation and services with which it can supply its visitors. In the period when the Venetians ruled the island, they built the Mirabello (“beautiful view”) Fortress on the highest hill in the area, close to the sea, on a site now occupied by the municipality buildings. Its purpose was to protect the harbour, which was to the north of Agios Nikolaos and from that time on was known as “Porto di San Nicolo”, from the dedication of a nearby chapel. Under Turkish occupation the town was uninhabited and its harbour, Mandraki, was used for the commercial exportation of agricultural products. Towards the end of Turkish rule, a small village began to grow up round the harbour. This took the name of Agios Nikolaos (St Nicolas) from the old single-aisled domed church which stands by the Port. 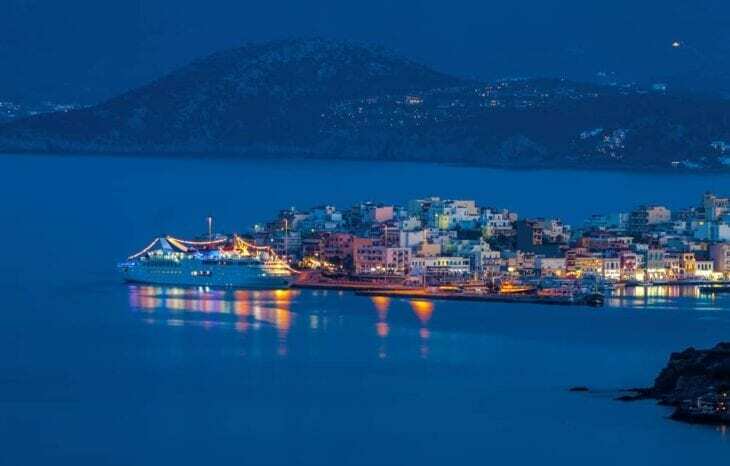 A characteristic feature of Agios Nikolaos is the attractive Voulismeni, which is linked to the sea by a canal. On its north-western side there is a zoo. According to mythology, the goddesses Athena and Artemis Vritomartis were accustomed to bathe here. At the northern end of the harbour, on a small headland, is the Byzantine chapel of St Nicholas, which gave its name to the town. Two islets add to the picturesqueness of Agios Nikolaos. The larger is that of Agion Panton (“All Saints”), on which Cretan wild goats are bred, and the smaller called Mikro. 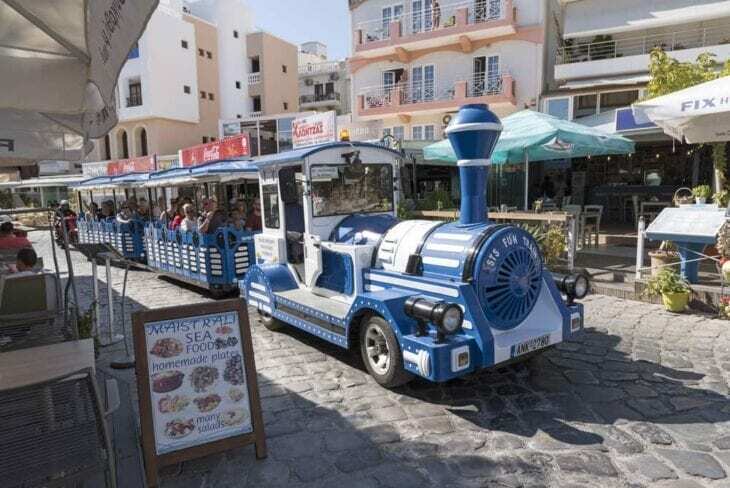 There is no lack of things to do right in Agios Nikolaos. 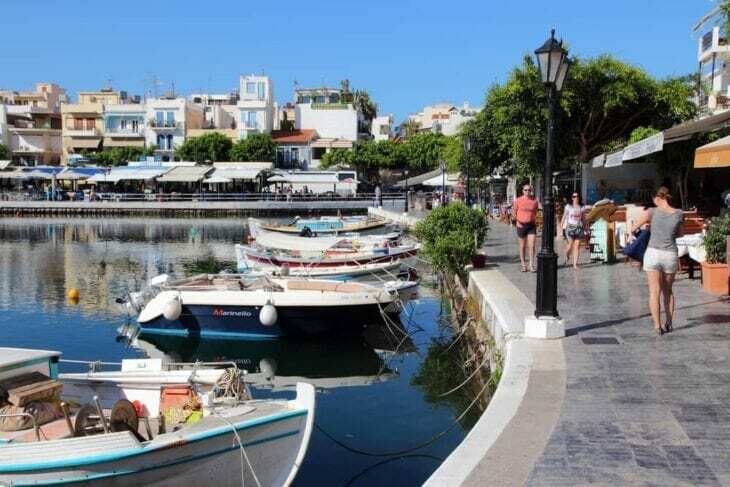 Taking in the scenery and charm of the marina and the “inner harbor”- the shores of Lake Voulismeni is reason enough to be in Agios Nikolaos. The area is full of cafes and bars and delightful tavernas. For sightseeing, you could start with the petite and manageable Archaeological Museum, with many findings from nearby Minoan excavations. At the Folklore Museum, you can see examples of wonderful Cretan Traditional dress, and the island’s fine crafts. Kitroplateia is Agios Nikolaos’ own beach, in a bay just south of the Marina bay, and a great destination in itself. This soft sandy beach on the Bay of Mirabello offers good swimming, loungers, and delightful nearby tavernas. There are several other beaches to choose from close to Agios Nikolaos. Just a kilometer to the north of the town is Ammoudi beach, soft and sandy and framed with tamarisk trees in a protected bay. Almiros beach, two and a half kilometers to the south, is the town’s most popular beach and it’s easy to see why. It is not only a beach, but an adjacent wetland to explore. The river Almiros meets the sea here, and the wetland hosts rare birds, eucalyptus trees, and palms. The beach itself is well-organized, sandy, and has shallow and usually calm waters. Voulisma, or Golden Beach, is one of the most famous beaches of Crete. If you are willing to drive a bit further- about 12 km east of the town, it’s well worth your while. By the village Kalo Chorio (it means “good Village”) in a lush grove of olives, the sands of this lovely beach are a bright white, giving the color of the sea a vibrant jewel-tone. Plaka Pebble beach is a nice option for those who hate sand to stick to their sunscreen. The pebbles make a lovely sound as the waves drag them to and from, and the waters are like crystal. 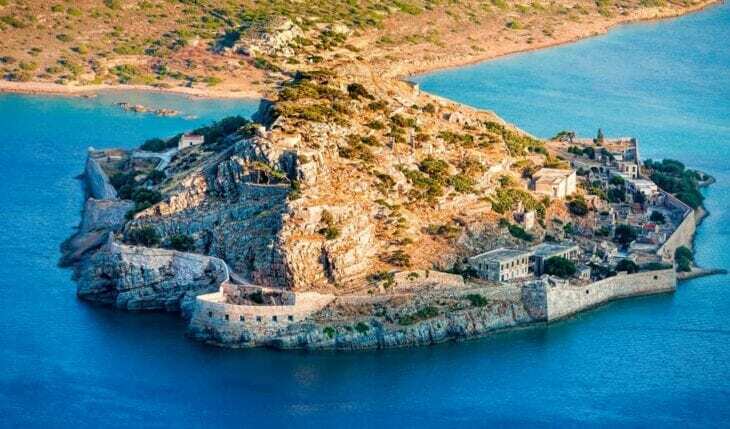 You won’t want to miss Spinalonga, which combines a fabulous beach with a ferry ride to get to it. Small ferries will transfer you to the island from Plaka and Elounda so you can explore this lovely small island with its Venetian fortress, built to guard the saltpans of Elounda. There is a wonderful beach on the island’s southwest. Crete has two Golf Courses, and both are near Agios Nikolaos. There is the 9-hole course at the Porto Elounda Resort 10 kilometers from Agios Nikolaos, open to non guests by reservation. There is also an 18-hole course at the Crete Golf Club, about a half-hour’s drive from Agios Nikolaos. For Diving, you can visit Creta’s Happy Divers diving center, just 250m from Voulismeni lake. – The Koundourios Municipal Library contains more than 10.000 books. For a very different type of experience of the island, you can get to know about Crete’s agriculture at the Cretan Olive Oil Farm. You’ll learn not only about olive oil, but also see beekeeping, a wine press, and a raki distillery. Children will love seeing the farm animals. The Faneromeni Monastery is just over half an hour’s drive to the east from Agios Nikolaos. Built on Mt. Stavros at high elevation, it’s a dramatic setting. The Monastery is dedicated to the Dormition of the Virgin, which makes it an excellent destination for the 15th of August, a major religious holiday in Crete and throughout Greece. Just 10 km from Agios Nikolaos is the village of Limnes, and enchanting traditional village surrounded by olive groves. Continue driving from here to the mountain village Zenia, at an altitude of 623 meters, offers a cooler mountain air and lush surroundings. It’s less than 30 minutes from Agios Nikolaos altogether, and a fantastic change of scenery from the beaches. Driving is a great way to experience the tremendous diversity of landscape Crete has to offer. 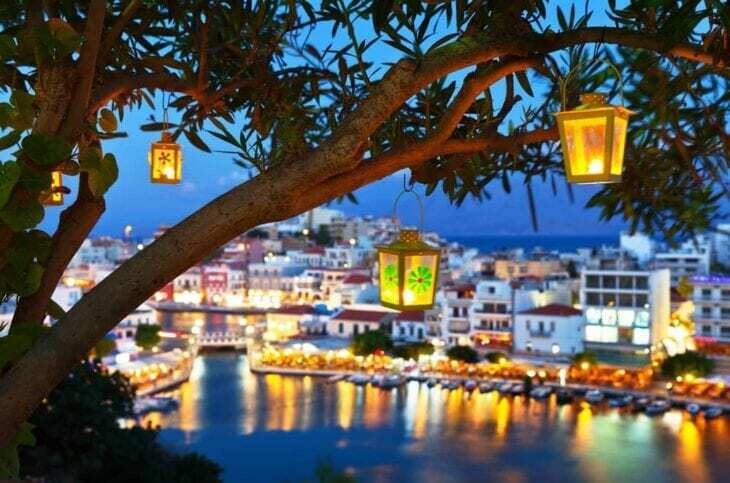 You are never far from a charming village, a hidden cove, or that perfect traditional taverna. 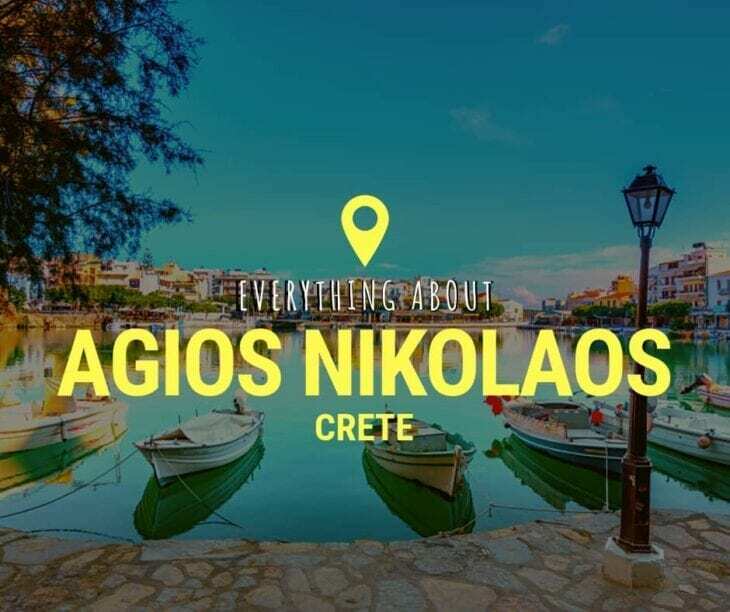 Enjoy our guide to everything you need to know about Agios Nikolaos and see you soon in Crete.